Week 31, whew! It has been a crazy one, and I’m not just saying that because of the holidays. Tuesday, I was having my dad come over to watch Ashton so I could go finish my Christmas shopping. My brother and his girlfriend were coming up later that day, so I had a list, a plan and a mission. But we all know what happens to the best plans. They change. Monday night I wasn’t feeling as much movement from baby girl as normal. Typically she is a dancing queen at night, but Monday she was not kicking up her heels. I noticed it, but wasn’t overly concerned. I know that she is starting to have more patterns of awake/sleep time, so I thought maybe she was just napping. I get thirsty during the night, so I brought a gatorade to bed with me that night- when I drank it in the middle of the night, the sugar would surely get her moving. Well, the gatorade did not work. I didn’t sleep well after this, but figured when I got up and had my (half-caff) coffee, she would start bouncing around like normal. I think it’s the warmth of the first sip that really gets her going in the morning. This didn’t work either. I had felt a few random movements here and there, but not the amount that I am supposed to be looking for. Ashton wasn’t letting me sit and relax to see if I could count more movements, so that made me get more anxious. So when my dad arrived to babysit, I left and called my doctor’s office while I was driving. I explained to the nurse what was going on, and they had me come straight there to do a non-stress-test (NST). This monitors the baby’s movement, heart rate and contractions (if I am having any). Starting next week I am supposed to go once a week to have these tests done since I am over 35 years old, so I was getting a jump start on it. It’s actually a relaxing time if you are there for a routine NST and not because you are worried about your baby. They put you in a nice cushy recliner, kick up your feet and just let the baby do all the work. Well her heart rate and everything looked great, just not the movement. 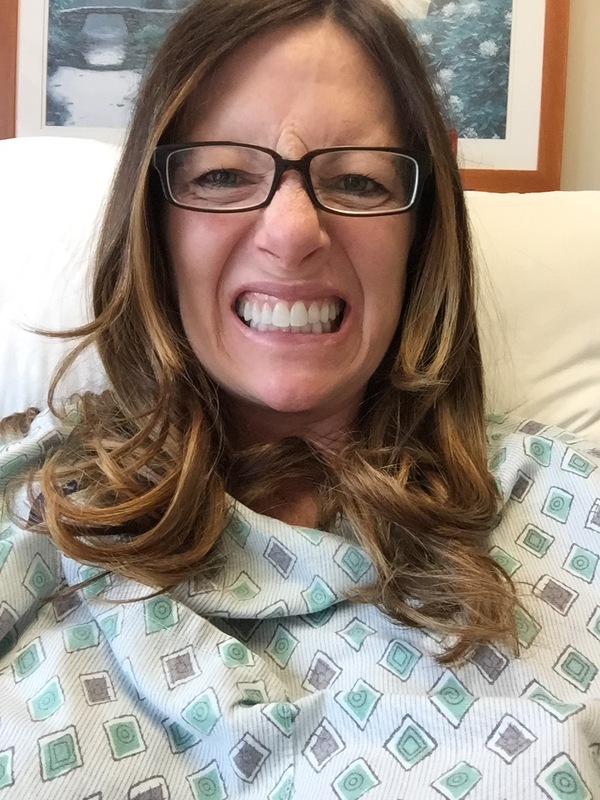 I was hooked up there for 40-60 minutes, and the nurse wasn’t happy with the low movement. She wanted to be on the safe side to make 100% sure all was ok, so she sent me to the hospital (labor and delivery) for a BPP (an ultrasound scan that measures movements, breathing practice, etc). 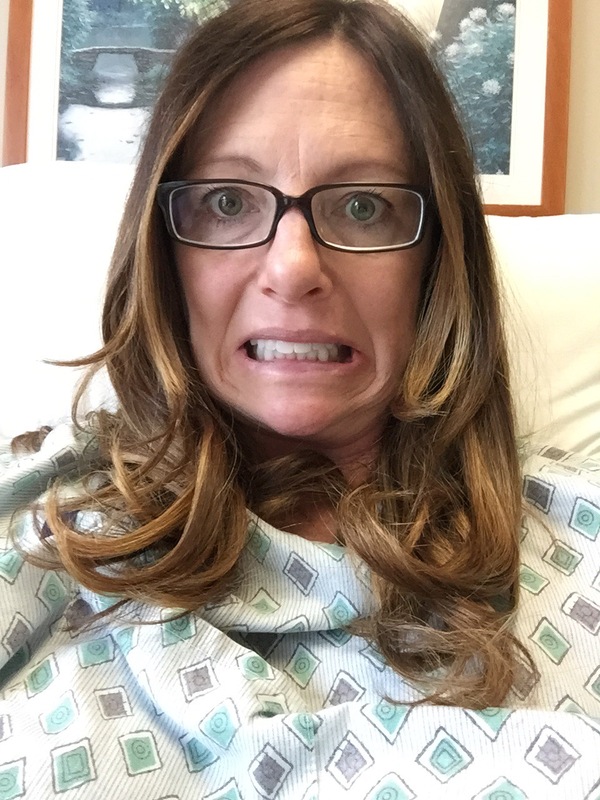 I was staying calm and not freaking out, but going to the actual labor and delivery floor was a little unnerving. I had to go into a triage room and put on a hospital gown. That’s when I started to get a bit nervous. 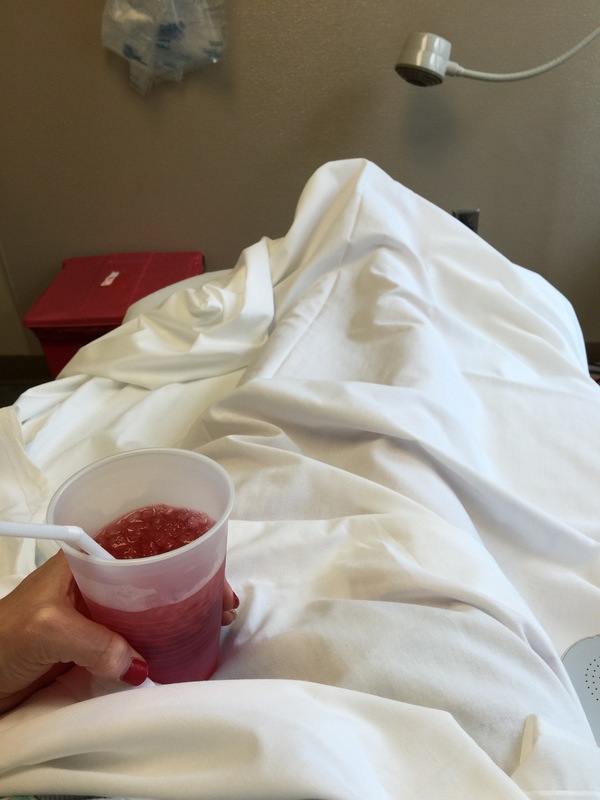 They got me cranberry juice and then got the ultrasound all hooked up. She started moving a lot, and knocked the amount of movements off the check list. Everything (fluid, movements, measurements, etc) looked good. We just had to wait on her to practice breathing for the amount of time they needed to wrap it up. I was on my back this whole time, and now I know why you aren’t supposed to spend a lot of time on your back. You get light headed and start to feel like you are going to pass out. Well, it was either the back-laying position or the nerves. Maybe a combo of the two. Whatever it was, I was fine after I sat up and sipped chugged the cranberry juice. Baby girl ended up getting a perfect score, and I was released! Woohoo! This took ALL DAY, so I didn’t get any of my shopping done. But, that is totally fine. I was happy that the baby and I were healthy. Period. This has also lit a fire under my rear to GET READY for this baby. I am going to try and get her room ready and my bag packed in the next two weeks (hopefully in one week). I can feel her body parts (feet, hands, knees, head) through my stomach, and she responds when I push on them. I don’t know which body part it is when I can feel it, but it is pretty cool. I am getting more and more tired. Little things wear me out, and sometimes I just get tired for no reason. A lot of days my good ‘ol half-caff doesn’t even do a thing for me, I still feel like I could take a nap after drinking my coffee. I feel heavier… My belly, my chest, basically my whole mid-section feels like it is growing at lightening speed. This isn’t a shock since the baby is now putting on weight faster than she has the whole pregnancy. The docs say I am supposed to be gaining around a pound a week now. The baby is about 3.5 pounds. What is crazy is that when Ashton was born, he was more than six pounds heavier than what this baby is now. I don’t know how my stomach held him (or how it is going to hold this baby girl for another 2 months)! I get full fast and I get hungry fast. Some mornings I have a tiny bit of nausea and the last thing I want is food, but eating is what is supposed to help that feeling go away. No new cravings or aversions. I can pretty much eat anything. I am making an effort to drink more water, and therefore using the restroom a TON. My sleep is getting kind of crappy. I wake up around 3:30 or 4am to go to the bathroom and drink water (or gatorade, or coconut water) and have the hardest time falling back to sleep. Like awake for two hours. Ugh! I’m still walking a lot. I am looking forward to yoga starting again, it is hard to get myself to do a dvd at home. It is also hard to find the time to do it since Ashton is a busy bee and won’t let me practice much.